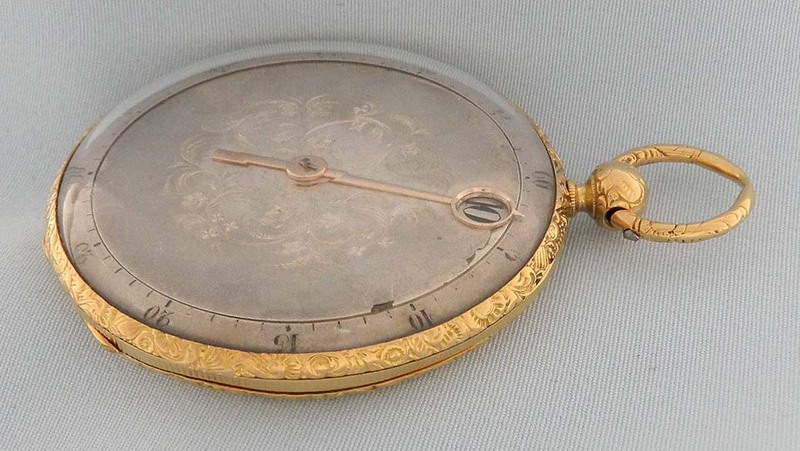 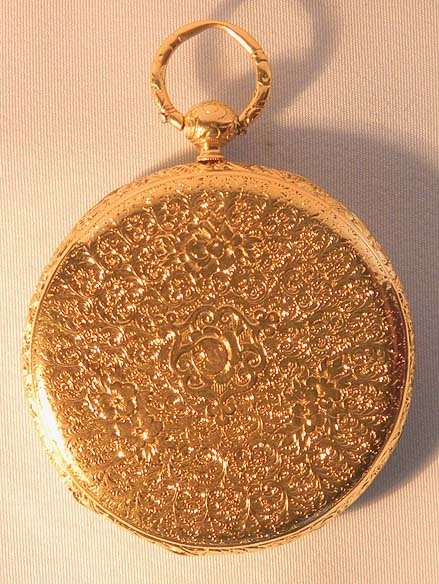 Fine and rare slim Swiss 18K gold wandering hour antique pocket watch by Bachelard, Geneva, circa 1840. 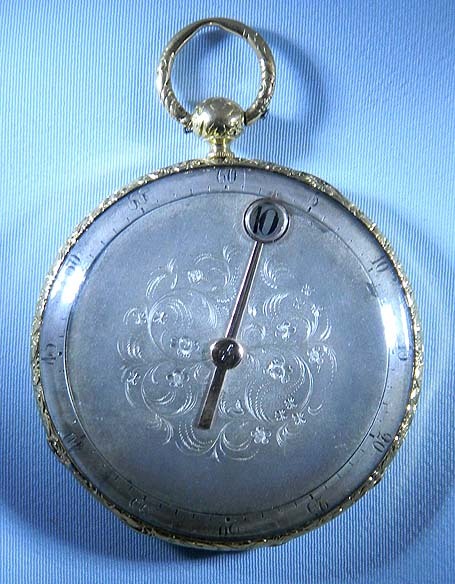 FLorally engraved rotating silver dial (minor flaws) with fixed gold hour hand containing an aperture for the wandering jump hour rotating within a fixed outer minute ring. 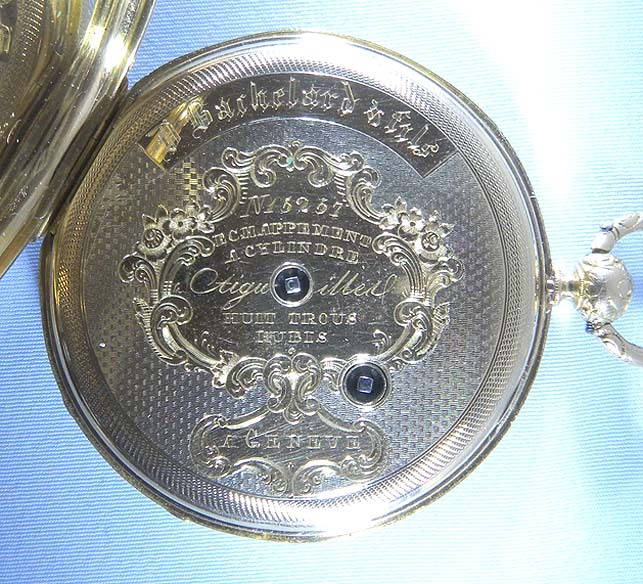 Beautifully engraved case with cast and chased bezels, pendant and bow and coin milled edge. 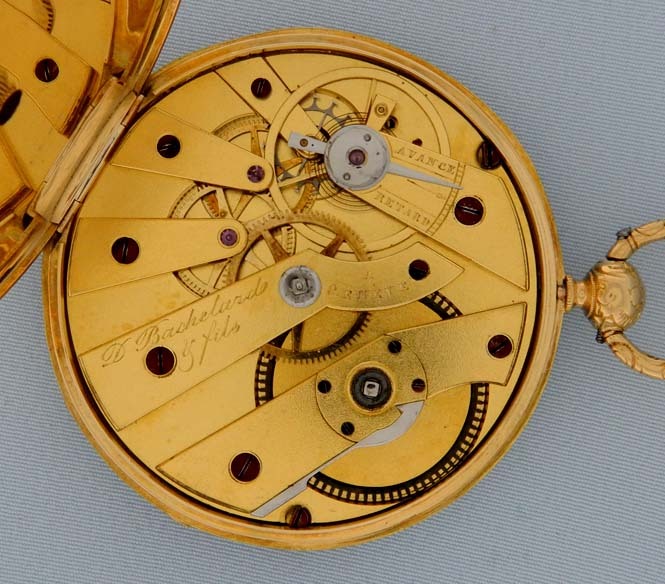 Gilt 10 jewel cylinder movement. 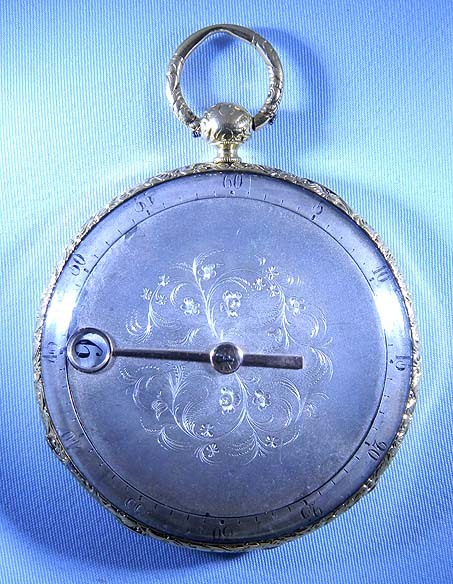 Elegant.